Most likely, you know what you want your postcard to look like. Our talented Graphic Artists do their best to follow the various methods of communicating layout instructions to them – Word document, text typed into our Online Ordering System, a hand drawn sketch. Unfortunately, many times the mockup or instructions submitted to us are unclear, difficult to read, or both. This page is designed to help you prepare and submit mockups that are easy-to-follow so that our Graphic Artists can realize your vision from the start. We prefer this method because the copy comes from you as a digital file and does not require us to re-typeset, thereby reducing the slim possibility of us typesetting your copy incorrectly. You can also insert pictures into your document and indicate to us where you want images placed. This is an excellent way to show us what you want. If your digital layout requires specific fonts and they differ from our Standard Font Set or Adobe Font Library, we will need you to supply the fonts with your mockup. 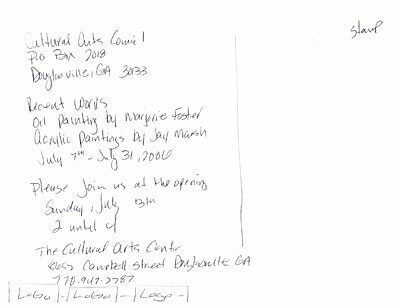 Simply type your copy and type in “artist discretion” at the top of the document. This will tell our Graphic Artists that they have the liberty to select fonts, point sizes, and copy placement to make a pleasing, balanced layout. 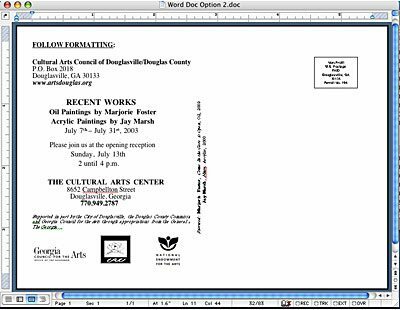 Type “follow formatting” at the top of the document and our Graphic Artists will follow your text formatting as closely as possible. 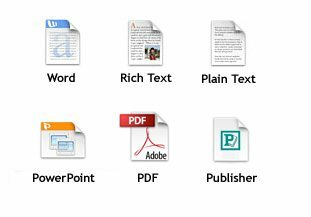 Understand that Word is NOT a page layout program like InDesign and there may be some formatting differences between the Word Document on your computer and ours – Word Documents have a tendency to change slightly from computer to computer, at least as far as formatting goes. 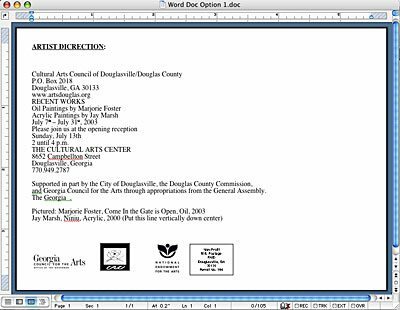 Again, our Graphic Artists will follow your document formatting as closely as possible, but given the limitations of Word, it may not be exactly what you see on your screen. Physical Mockups – Hand Written, Hand Drawn, etc. If you don’t have a computer program available to send us an electronic mockup, then you can hand write or sketch your mockup on paper. Please write clearly and legibly and, if possible, indicate what fonts you want us to typeset in. 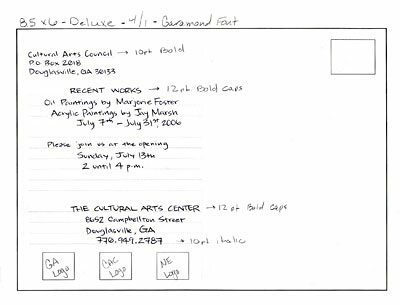 You may also indicate “artist discretion” on the layout and our Graphic Artists will select fonts, point sizes, and copy placement to make a pleasing, balanced layout. If you are submitting an electronic mockup, you may upload it (within our Online Ordering System) or send it on disk through the US Mail. If you are submitting a physical mockup, then you may send it through the US Mail or drop it off at our location. NOTE: If you have been assigned a job number, be sure to include the job number along with the materials you submit.